and assessment of your entire workforces abilities. 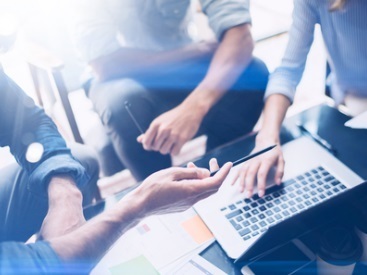 Automating competency management can go a long way in streamlining the HR function and achieving a deep understanding of an organization's abilities. 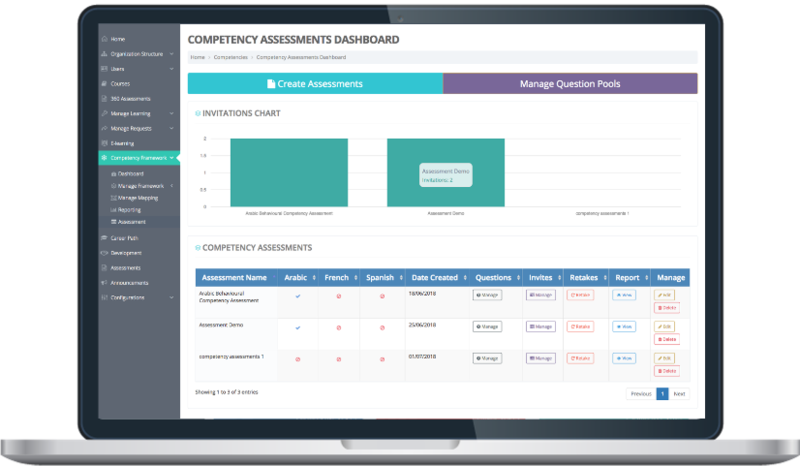 Our competency management system makes it possible to shift competency frameworks online and implement them in HR processes such as recruitment, training, and performance appraisal. It makes it easy to pinpoint strengths and weaknesses for every individual and for the organization as a whole. Built with deep HR management insight, this intuitive solution can work independently or seamlessly integrate with our other talent development solutions. By integrating the org structure and competency framework online, it's easy to manage and update job families, categories, titles, and grades, and map each role to the relevant competencies, proficiency levels and indicators. 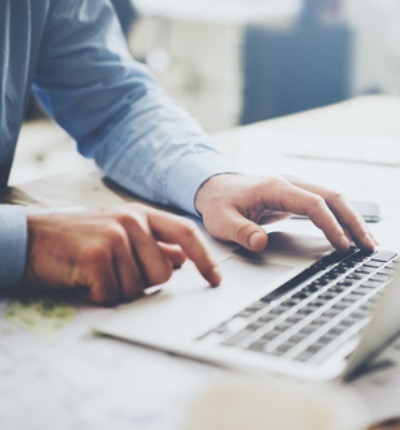 Enable your employees to perform easy online self-evaluations, while HR teams view individual and summative reports online. The competency assessment tool aligns employee assessment with the organization structure and competency framework. Assess employees current progress along career path and show recommended courses to improve competencies in the current role. Show possible future roles and their competency and experience requirements. Integrate the org structure with HR processes, and manage job titles, grades and roles. Dynamic framework set-up, with unlimited competency types and proficiency levels defined for every job role and category. Create online assessments to evaluate employee performance based on job role and required competencies. Get activity updates and automate reminders for staff to complete assessment. Decide on length, frequency, questions, and question weightage for each assessment. Create a standard question pool from which to select relevant ones for different assessments. Get a complete view of competency standards at a department and organization level. Generate reports on individual performance, and compare to required levels for the role and to average performance. Automate training recommendations to address gaps. Need to simplify how you manage and assess your workforce's competencies? Talk to a digital solutions advisor and schedule a demo.